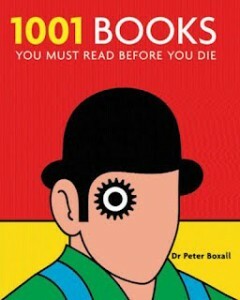 A life long reading challenge to read books from Peter Boxall’s 1001 Books Before You Die Challenge. I’ve joined this challenge before in other forms, but this will be my definitive Master List post. For the purposes of variety, I include books that have been listed in all three editions (1305 books). This challenge is a good overlap to the Classics Club and all the other ongoing reading challenges I am doing. Interestingly, this list has a few of the most boring books I have ever read, but largely, it also has a few of the best books I ever read. There are many books on the lists that I have no intention of reading anytime, but for the most part, there are some good recommendations in this list. I’ve wanted to join this challenge for a few months, but I had to make time to update my list of books read for the challenge. The following are a list of books I have read from any of the edition. This post will be updated whenever I finish a books/find the time. Oh no I think The Classics Club is a big enough challenge for me but I do always keep this list in my mind when looking for new reads. Yes, I know what you mean. I’m also always pleasantly surprised when I realize I read a book on it without knowing it since he has a few modern classics.